The Center and Foundation for Critical Thinking have together hosted critical thinking academies and conferences for more than a quarter century. During that time, we have played a key role in defining, structuring, assessing, improving and advancing the principles and best practices of fair-minded critical thought in education and in society. We invite you to join us for the 28th International Conference on Critical Thinking. Our annual conference provides a unique opportunity for you to improve your understanding of critical thinking, as well as your ability to more substantively foster it in the classroom and in all aspects of your work and life. There is no more important goal in teaching than fostering intellectual discipline. persevere through difficulties in problems and issues (rather than giving up when learning becomes “painful” or difficult). routinely empathize with the thinking of others (especially the thinking of those with whom they disagree). take ownership of content through actively thinking it through. develop confidence in their ability to figure things out for themselves. understand the relationship between thoughts, emotions, and desires. can distinguish between what they know and what they do not know (and do not confuse the two). articulate complex questions in multiple ways before dealing with them (to clarify them). use intellectual tools routinely in every class to take ownership of the content. seek to identify key structural components in thinking (purposes, question at issue, information and data, inferences and interpretations, concepts and theories, assumptions and presuppositions, implications and consequences, points of view and frames of reference). read, write, listen, and speak critically. locate ultimate intellectual authority in evidence and reasoning, rather than in authority figures or “authoritative” beliefs or texts. Intellectual discipline is essential to the educated mind. However, we do not foster it at the expense of the emotional life of students. Rather we help students take command of their emotions, feelings and desires through the use of reason. We avoid teaching in such a way that students become overly self-critical, or obsessive about learning in order to make the grade or pass the test. We want students to experience the joy of learning, which they can do best when they take command of their learning and the development of their own intellect. We want them to understand the intimate relationships that exist between their feelings, emotions and desires. We want them to develop emotional intelligence, so that they learn to deal with their feelings and desires in productive and successful ways. We want them to become passionate about learning, and to learn the skills necessary for honestly confronting the day to day problems inherent in learning at a deep level. The conference will consist in approximately 40 conference sessions offered over four days. Participants will choose in advance the sessions offered on days one and two, day three - afternoon, and day four - morning. 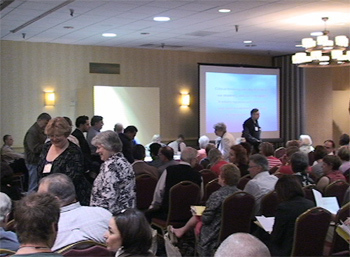 At the conference, participants will choose from a number of concurrent sessions offered on the third morning of the conference. 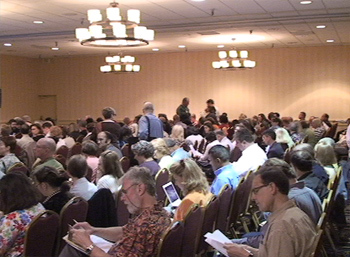 We invite both new and returning participants to join us for the preconference, to be held July 18-19, 2008. All conference sessions will be designed to converge on basic critical thinking principles and to enrich a core concept of critical thinking with practical teaching and learning strategies. For a fuller explanation of core critical thinking concepts review the Thinker's Guide Series or articles from our library. The design of the conference is in progress.